Master data is data that is critical to the operations and decision making processes of a business. SAP Master Data Governance (MDG) is a state-of-the-art master data management application that offers an efficient way to curate consistent and high-quality master data, and forms the foundation of an Intelligent Enterprise. With MDG, you can simplify your system landscape and move to the cloud with synchronized master data, connect transactional and IoT or other big data systems, and prepare for a move to the Intelligent Suite, which includes SAP S/4HANA, SAP C/4HANA, and SAP SuccessFactors. 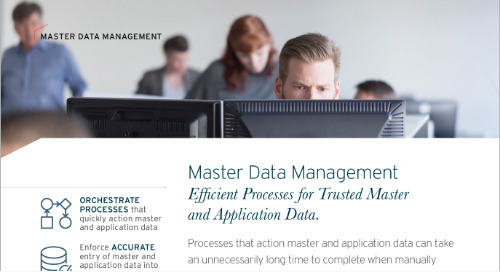 Efficient Processes for Trusted Master and Application Data. 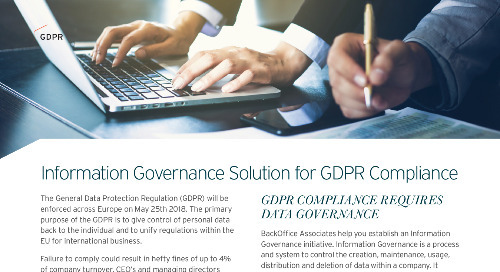 A 3-phase solution tailored to your unique compliance needs. We are a data transformation company - uniquely focused on data excellence for our customers. Your expert partner for data transformation. Identify data challenges that may be hindering operational efficiency. Join our team for an introduction to SAP S/4HANA to optimize your unique journey. Clean data and keep it clean for SAP S/4HANA. Quickly consolidate to a single set of business rules and data between two companies. Find and Fix Poor Quality Data - Quickly. Curate trusted data that is directly connected to your business strategy. Understand and learn how to apply the SAP integration landscape. Determine how ready your business is for an SAP integration project. Simplify your existing SAP UI’s to make them more usable and efficient. Gain a starting point for your SAP UX/UI roadmap.